At 32 Dental, we offer patients in the Cobb County area ways to enhance their smiles, especially when faced with tooth loss. Drs. Lan Vo and Sean Breckley are dedicated professionals who provide general, cosmetic, and restorative dentistry for patients in and around the community of Kennesaw, GA. Some patients are interested in visiting a clinic that offers top-of-the-line tooth replacement options including dental implants. Learning about the process of obtaining this and other restorative solutions done right in our office during a consultation appointment with our team. These restorations are versatile, making them a smart option for patients in many different dental situations. Before considering implants, patients need to book a consultation appointment with Dr. Lan Vo or Dr. Sean Breckley to determine if they are right for them. During this consultation appointment, there will be a physical evaluation of the smile. Additionally, patients may undergo a series of x-rays, which allow the dentist to see the bone structure of the jaw. This is done to make sure the procedure will be successful. 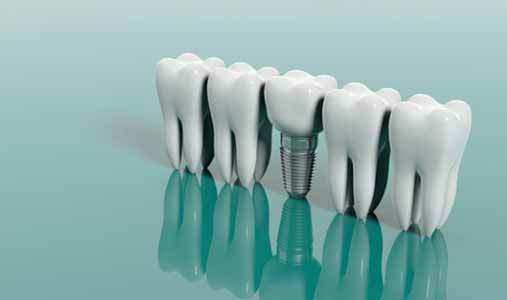 The best candidates for dental implants are patients who have sufficient bone structure to keep the implant in place. Without enough bone, patients may need to consider other options, or speak to our team about the advantages of bone grafting. This will prepare the bone of the jaw for the placement of an implant in the future. Once patients decide to move forward with dental implants, x-rays are used for the dentists to plan out the placement of the implants in the jaw to ensure the most effective results. Then, oral surgery is planned. Oral surgery is performed in our practice with proper anesthetics and sedation. The implant is placed into the bone and the gum tissue is sutured around the implant. Then a temporary crown is placed over the abutment as a short-term solution while the implant heals. This can take several weeks, as a process called osseointegration needs to occur. Osseointegration is the growth of the bone around the implant to keep it firmly in place. Once this happens, a final, permanent restoration can be put in place to complete the process. Patients choose dental implants for various reasons, but the primary benefit of dental implants is the ability to achieve a long-term solution for missing teeth. These restorations last a lifetime when patients maintain their routine dental visits and keep their smile healthy. Implants are one of the strongest, most stable tooth replacement options, and they can be a great solution for patients seeking a low-maintenance treatment for missing teeth. During a consultation appointment, patients will be evaluated to see if they are candidates for implants, or if they need to consider other solutions. If you want to learn about the process of obtaining dental implants, or just want to ask professionals in a local practice about whether or not you are a candidate for placement, we encourage you to book a visit with our team at 32 Dental. Our dentists, Drs. Lan Vo and Sean Breckley, can provide you with the information you need to decide if dental implants can help in restoring your smile effectively. Book an appointment at one of our two locations by calling (770) 423-1132. We have a practice at 600 Chastain Road, NW, Suite 422, and another office at 1725 Dennis Kemp Lane. Visit our practice today and discuss this and many other solutions available for repairing the smile after tooth loss.